Well, Day 2 didn’t work out as well as hoped. After an excellent lunch, I ended up eating a peanut butter and honey sandwich on whole wheat. Day 3 started out better. We had steel rolled oatmeal with apples. It was yummy. We had a veggie burger on whole wheat with a nice artichoke heart and tomato salad for lunch. The real topper was dinner. 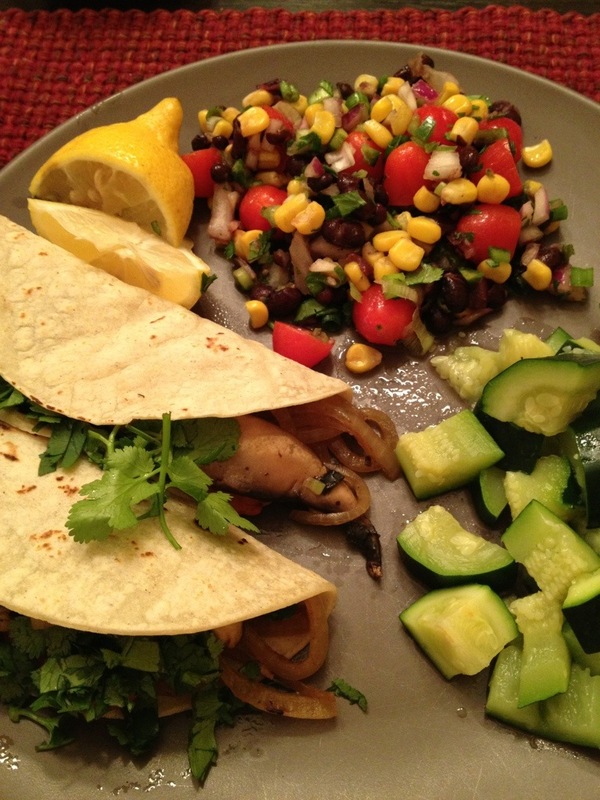 Julianne made some savory Portabella fajitas, a tasty black bean, corn and tomato salsa. We also had some steamed zucchini. It really was an amazing dinner! !